It is possible to have a clean house that smells great without using conventional home cleaning products. Simple homemade cleaners can do the same work as harsh cleaners, without the worry. 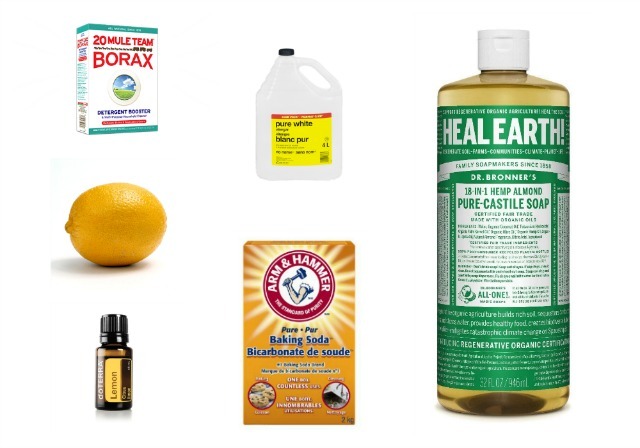 All you need to make these non toxic cleaners are a few basic grocery store ingredients, your choice of essential oil and plastic spray bottles from the Dollar Store. Because we live in a cold climate, I understand the spring cleaning urge. After a winter of feeling cooped up, the idea of flinging open the windows to air out a room and inhaling the scent of a freshly-cleaned house hold great appeal. The only challenge is that with conventional household cleaners – from laundry detergent to floor cleaner - the “clean” smell of a freshly scrubbed house consists of synthetic fragrances. Fragrances contain phthalates, which are a group of chemicals known to be hormone disruptors that are suspected of causing a number of health concerns, including asthma, reproductive issues and thyroid problems. As always, children are most at risk when it comes to inhaling these scents. If an ingredient list includes the words “fragrance” or “perfume” that’s your indicator that the scent is toxic. Even unscented products often contain these ingredients because they contain scent-masking chemicals. Conventional cleaning products contain other chemicals that are linked to health products so it isn’t just the scent that we need to be concerned with. 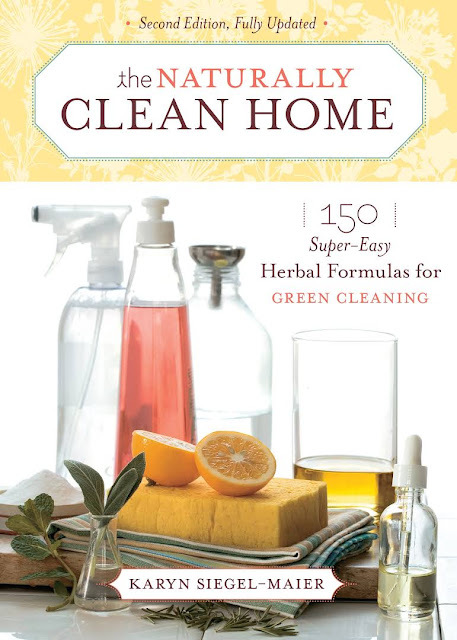 In the book, The Naturally Clean Home, author Karyn Siegel-Maier shares recipes for super-easy homemade cleaning solutions that contain a few drops of essential oils. The essential oils help to do the cleaning (they have antibiotic, antifungal, antiviral, antibacterial properties) and they leave your house smelling great. Just in time for spring cleaning, I’m sharing a few of her recipes for effective cleaners that are easy to mix up and can replace some of the harsh cleaners in your home. All you need to make these cleaners are a few basic grocery store ingredients, your choice of essential oil and plastic spray bottles from the Dollar Store. Sink scrub: ¼ cup baking soda, ½ cup vinegar, 3 drops of essential oil. Combine the vinegar and essential oil then quickly mix in the baking soda. Pour it around the sink, scrub and rinse with hot water. The cleaner freshens the drain too. All-purpose cleaner: 1 tsp. liquid castile soap, 2 Tbsp. white vinegar, ¼ cup lemon juice, 2 cups water, 4 drops of citrus oil (orange, lemon, lime), 1 tsp. borax. Combine in a spray bottle. Shake well. Toilet bowl cleaner: ½ cup baking soda, ¼ cup vinegar, 10 drops of tea tree oil. Add to bowl, swipe with a brush. Herbal disinfectant: 2 cups hot water, 10 drops of thyme (or other herb) essential oil, ¼ cup borax. Combine all ingredients in a spray bottle and shake well. Floor cleaner: 1 gallon hot water, 2 Tbsp. liquid castile soap, 15 drops orange essential oil, ¼ cup lemon juice or 8 drops lemon oil. Although these cleaners are non-toxic, you should still handle them with care. Do you love the idea of non-toxic cleaning? Here are 10 non-toxic cleaning hacks with vinegar.